Hi, I have a fully furnished room (QS bed; cupboard; etc) for 1 person that is AVAILABLE from the end of June for up to 3 months or so. Enquiries welcome anytime as the room may come available beforehand. NB: This is a non-smoking house and property. More furniture cannot be brought into the house - the house is fully furnished and well equipped. I am really happy to have SHORT-TERM SHARES i.e. you might be looking for somewhere more suitable that will take your furniture but you need to move out of where you are staying. For short-term stays add another $20 a week to the weekly rent. For longer stays, we may have to work out the shared gas, electricity and water bills. The house is a RENOVATED WEATHERBOARD close to Queanbeyan CBD. There is a lovely garden and back deck. Gas heating and cooking and solar hot water (with a manual electric booster so it never goes cold). There is on-street parking which is well lit and is time unlimited. There is public transport a short walk to town (less than 10 minutes) and Queanbeyan railway station is a 15 minute (or 25 minutes with a heavy backpack!) walk. And if you work in Canberra city, there is a park-and-ride just across the border in Fyshwick. Or if you are into cycling there is bicycle path into Canberra that swings past the park-and-ride. If you are staying longer than short-term, you've got to be willing to do your bit in the garden - THIS IS ESSENTIAL! OR you will need to pay to have someone do your bit. However, it should never get to that because between two it is less than onerous and to be honest, it has rained so little that nothing is growing much. Garden tasks are mostly sweeping the paths, deck, driveway and raking eucalyptus bark and leaves (once every few weeks) and occasional mowing and cutting back hideously invasive ivy. Do not hesitate to give me a hoy if you are in any way interested. Any references would be helpful but aren't essential. And I really do not care whether you are a 'professional' or not - used alone, I find the term pretentious :-) I am much happier knowing about your interests :-) rather than how you earn a living (and yes, I know they could be one and the same...). Queanbeyan is a well kept secret and a great place to live - this is from a born and bred Canberran. The house is a safe, short walk to town which has nice pubs and eateries and all the essential shops including a couple of excellent op-shops. Updated - partially furnished. Will also have queen bed and fridge (purchasing this week). Rent includes power and water. Internet neg. Cat friendly accomodation :). Private two bedroom granny flat with separate entrance. You would have your own driveway that is large enough for two cars (or one car and a large outdoor setting!) and separate gate. This granny flat is light filled, airy and very private. You walk straight into a living room which is next to a large kitchen/diner. If you are a fan of cooking you would love the ample storage and bench space. There is a large bathroom/laundry with a washing machine and dryer. There is one large bedroom and one small double bedroom. There is also a storage room and hallway cupboard. There is airconditioning in the living room. Freshly painted. The carpets have been professionally cleaned and I have personally scrubbed all surfaces, so the house will be clean to move into. The location is amazing - a five minute walk from the park, the pubs, Kmart and Aldi (you know, all the important stuff ;) ). The house is on a reasonably quiet street and the granny flat is double brick, so you will hear no car noise whatsoever. The granny flat is below the main residence with a side entrance. The backyard is gated as we have a friendly dog, so she will not run around the granny flat but you may occasionally hear her. I look forward to hearing from anyone interested. Please message initially if you would like to chat! Available end of May. Furnished room available in a 2 bedroom, 1 shared bathroom, well-furnished townhouse. 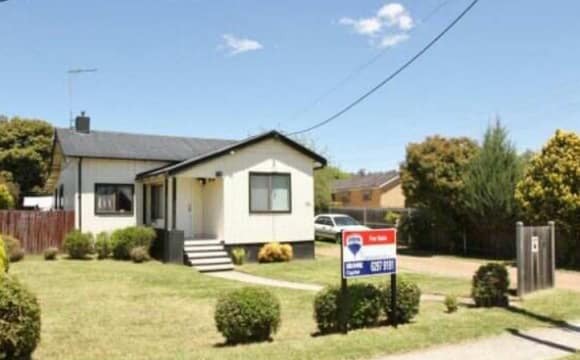 In a great location in the centre of Queanbeyan. Walking distance to hospital, shops, bus stop and train station and a short drive to most of Canberra. Room comes with single bed, bedside table, dressing table, tallboy and built in wardrobe. The room has built in robes and there is a queen mattress if you want it. I have an ensuite in my bedroom, so you will have almost exclusive use of the main bathroom. There is a balcony overlooking the local countryside. Bus stop across the road and the Queanbeyan train station is walking distance. The apartment is sparsely furnished, so feel free to bring some furniture, or not. Bond is negotiable. Bills to be split. I don't have Internet to the apartment but we can organise something. The is a secure, underground carpark. Fully furnished house except spare room. Sunny, modern, clean, quiet complex. Close to Queanbeyan train station, shops and pubs. The spare room available will fit a queen but would suit a double better. Built in robe, own use of main bathroom as I have the en-suite. Lovely view from the room as well. Private courtyard is being worked on to create a great little space for relaxing, reading or a fire pit. Single garage is set up for storage and workshop so there is some space for storage. All furniture brand new when I purchased the property at christmas. NBN Internet is up and running. Bills are included in the rent amount. 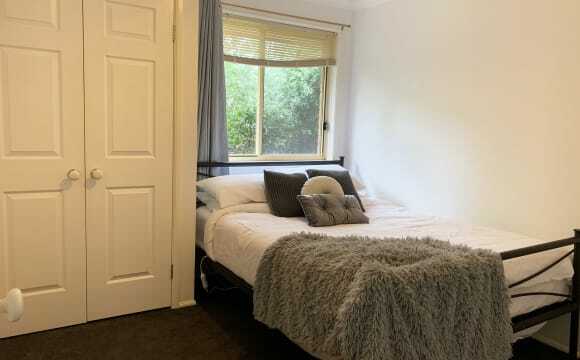 1 bedroom available in a 4 bedroom house on Fergus Rd, Karabar, Queanbeyan NSW. 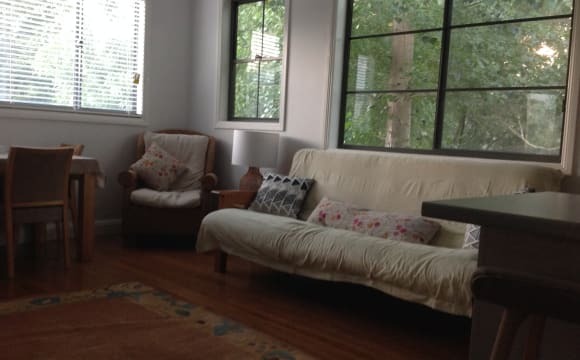 The house is in a great location close to Canberra Ave and a short walk to Queanbeyan Park. Only 2 minutes to Queanbeyan town centre, 5 minutes to Canberra Outlet Centre in Fyshwick and 15 minutes to Canberra City or Canberra International Airport. Large yard with plenty of off-street parking. Rent is per week inclusive of all bills. 4 weeks bond is required and 2 weeks rent paid in advanced. Please call to arrange an inspection and get ready to enjoy country living with city benefits. Please note that inspections will be by appointment only. Thanks for your understanding. Hope to see you soon. Please read my response in the section about myself. Property has been freshly renovated after purchasing it earlier this year. Have very friendly neighbours who don’t mind to say the occasional hello. But overall a very quiet neighbourhood. Property freshly renovated due to purchasing earlier this year. Have friendly neighbours and a quiet neighbourhood. 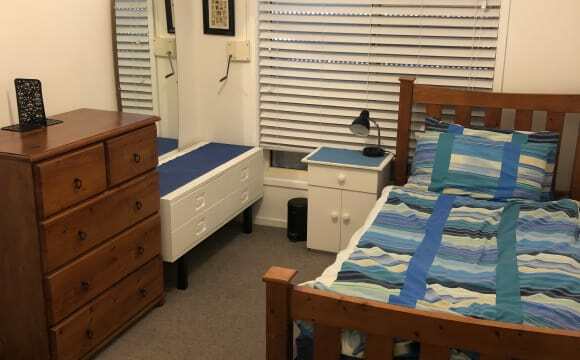 *Please note, photos are from previous tenant* Electricity is included in the weekly rent price $250.00, there is no internet but it is NBN ready. 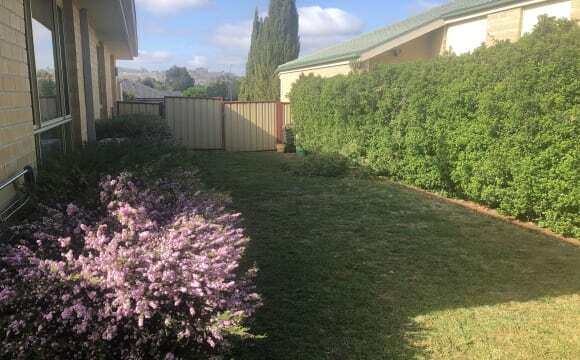 I have available a large bedroom with a built in wardrobe and your own private bathroom w/bath and a double shower in a modern 3 bedroom double story townhouse in Crestwood, Queanbeyan NSW. You will have your own car space in the double garage or alternatively there is off street parking on the premises. There is heaps of storage space throughout and plenty of room to bring any extra furniture items you may have (I dont have a dining table or dryer!) There is a spare bedroom available to rent for $30 a week on top of the weekly rent price (could be used as a private lounge room or office). The down stairs area has an extra toilet in the laundry, there is a small courtyard off the kitchen and a r/c system in the open plan kitchen/dining/lounge room. North facing, warm and light filled home tucked away in a quiet cul-de-sac with ducted cooling and heating. The rooms are unfurnished but the rest of the house is pretty well stocked with anything you can need. Open to more if you have it though! It's a short drive from Canberra, and an even shorter walk to a great track along the river. 10 mins from the city , nice quiet street in Queanbeyan . Big kitchen and living area . Street backs onto the queanbeyan river and walking tracks. Close to Canberra Avenue and Lanyon Drive, relatively quiet. Great property and location. Backing reserve and an easy commute to the city. 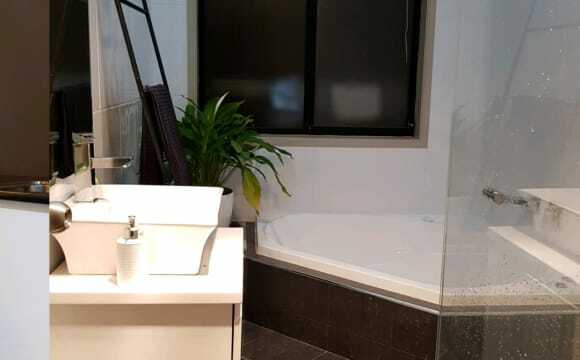 Features 4br plus study 2 bathrooms Ducted heating and cooling Under floor heating Solar 5kw Backing reserve Off street parking Furnished or unfurnished. Commuters ONLY. This space is not set up or priced for full time renters, so DO NOT APPLY if you want 7 day - week accommodation. Available from the 13 May 2019. Spacious area, quiet, private, light and airy. Own private entry and driveway. 1 of 2 large rooms. The second room is taken by another professional tenant who also commutes. The place is fully provisioned and all bills are included. No lease, no bond. Up front month payment for first month. Private back deck off kitchenette with great sunset view. Private access. -One large room available with king bed and built in robe. Plenty of storage. Own bathroom - a separate toilet and separate vanity space and separate full bathroom. microwave/convection/grill oven and all kitchenware provided. -Furnished with reasonable furniture, very large outdoor deck area with superb sunset views - great for a quiet drink after work. Loads of bird life and frogs in the pond. -Also included is electricity, unlimited internet (NBN fastest speed available at tier 5). Heat panels with individually controlled time and temperature in each room. -Shopping centre, bus are all within a close walk and off-street secure parking is available. -Bushland (reserve) with walking track is across the street and also surrounds the back and one side of the house. The area is being lightly renovated (slowly! ), so the floor is not attractive and the area needs some aesthetic work, but, it is functional and comfortable and clean. If you don't care about looks and more concerned with comfort, functionality and price, the rooms will be ideal. The space functions like a granny flat. Renovations are happening this year. Particularly suited to contractors (living interstate) who work in Defence or similar as we are located very close to Brindabella and Russell and have easy bus access from Fyshwick (free park and ride) to Barton, russell, Brindabella etc.. If you don't want to pay for parking. If driving - -Under 25 mins to city and surrounds and tuggeranong; under 20 mins to woden; under 10 mins to Fyshwick, hume, symonston, narrabundah and queanbeyan. -We are a quiet, private couple in our late 40's and early 50's with one quiet child, a cat and some chooks. We live in a separate area of the house. You don't see or hear us and vice-versa, as the rented area is enclosed off from the main house. Located just 20 minutes from Canberra CBD, on the outskirts of the ACT border is the beautiful, family friendly suburb of Jerrabomberra. With lovely gardens, parks, playgrounds and sporting ovals just a short walk away you will feel right at home here. The house backs onto Mount Jerra so if you are into bushwalking this is a great place you. With a lovely spacious backyard and outdoor entertaining area this house is well suited for small pets so they will be considered upon application and if approved by landlord. There is off street parking in both the garage and also the driveway. In winter stay warm with ducted gas heating and stay cool in summer with split system air con. The master bedroom is very large and has a spacious walk in wardrobe and your own en-suite with shower. Enjoy your own privacy with a door that locks and your own seperate entrance to the room through the backyard. Kitchen, laundry and lounge room are shared spaces with other house mates. Unlimited NBN wifi available here for $80 total a month so if you would like to use it is $10 a week on top of rent. 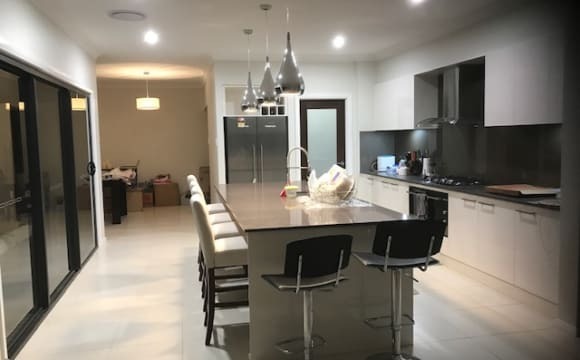 Its a four bedroom house in a nice and peaceful suburb at Googong. Its a 5 minute drive to Googong dam which is a good place to visit. Googong has a lot of play areas for the kids and 2 big well maintained fields/parks. Our house has other rooms you can relax yourself at like tv/music room, a mini library, living room area or at our 8x4m deck with barbeque grill if you opt for outdoor relaxation. Notes: 1. $200 is the price for a single person on this room. This includes use of internet and water. 2. Electricity included but if average usage is above then we all share the excess. If there is an excess, estimated contribution is $5-$15 quarterly. 3. Our house is 10mins walk to Domino's pizza and IGA convenience store (open 7am to 9pm) 4. Our house is 4mins walk to Duncan Fields (where you can play basketball, soccer or rugby. 5. Just realized that published street on address is incorrect. Our street is Christie. Country style living but close enough to the hustle and bustle of the city life of Canberra. Warm community vibes! 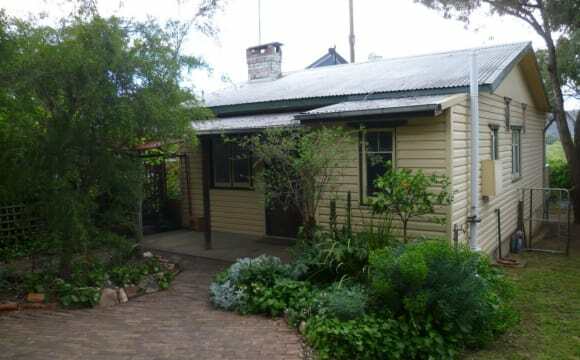 Hi we are looking to rent out our granny flat which is separate from the main house. It has a bedroom, bathroom, living area and a kitchen. It’s fully furnished. It would probably suit one person or maybe a couple, as there’s only one bedroom. We have young children that attend high school and primary school on the Southside. So we are not looking for party people. We are on 40 acres so if they have a pony and want to bring it that’s fine too, but will have to buy the feed at the moment. If you have a dog, we would need to discuss it as we already have animals on our property. We both work in the public service in Canberra. We are looking for someone that would like to live in the country but still be close to Canberra. We are 20 mins away from Tuggeranong, on the Monaro Highway. 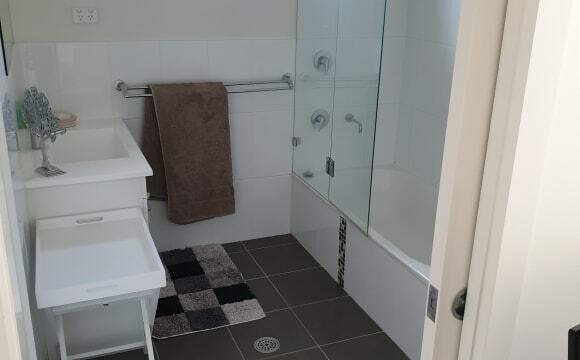 We have a fully self-contained one bedroom flat available for rent in Murrumbateman. This flat has just been built and is a brand new set up (was intended for the mother-in-law but she can no longer make the move). It is on a rural block and is separate from the main house where our family lives. Features include: - electric stove &amp; cooktop - reverse cycle air-conditioning/heating - instant gas hot water - built in robe - large ensuite - built in laundry - includes white goods (fridge, washing machine, dryer, microwave) - lovely setting and outlook with beautifully treed surrounds - rent includes electricity and hot water - fully furnished Murrumbateman is 35kms from Canberra and 20kms from Yass. Surrounded by wineries this accommodation would be ideal for a mature single or couple who likes the rural life with all the benefits of being close to the city. Close to all that yass has to offer. Furnished 2 bed + study house in central Milton. Walk to shops, pubs, cafe's, school and pool. Room is unfurnished but has built in wardrobe. Internet not connected but NBN is available. Looking for someone who will take care of the place while I'm away for 6 months, will also consider renting complete house out furnished. I live close to town but not too close, and about 5 minutes from Mollymook beach. I have two rooms but only want to rent out one so you get to choose. Use the other one as a loungeroom if you wish. My house is only 9 years old and is brick and tile with an enclosed yard big back verandah and vegie garden. I have unlimited internet and netflix. If renter wants to maintain the lawn rent will be reduced. The house is open plan, walking distance from the beach and backs onto bush land. It has aircon, has fresh paint and new carpet and comes fully set up except for the spare bedrooms. large backyard and plenty of storage.